April 22 is Earth Day— and we’ll be celebrating with two events, both on Saturday. From 12-4 at Jordan Park, 1001 N. 6th St., we’ll be joining the City of Allentown Bureau of Recycling for Earth Day in the Park. The event includes live music, giveaways, a raffle, food trucks, face painting, crafts, activities, educational demonstrations and more. We’ll also be co-hosting two free rain barrel workshops Saturday in Upper Macungie Township— space is limited, so follow this link to register. 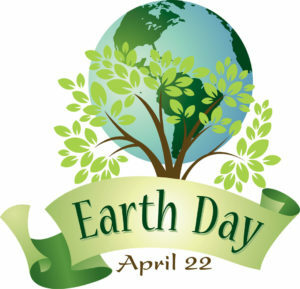 Earth Day is the perfect time to take a look at what you can do to be kind to Mother Nature. We have three solid suggestions to start you off on the right foot. Reduce the amount of water you’re using. Take shorter showers, install low-flow toilets, showerheads and faucets, and fix any leaks — even a single faucet with a slow drip can waste up to 34 gallons per year. And consider adding a rain barrel, like the ones we’ll be building at our free event, to water the garden. If you aren’t on the bandwagon already, making a commitment to the three “r’s” — reduce, reuse and recycle — is a terrific way to start. If you’re already a solid recycler, up your game by working on the other two components: reduce waste by choosing products with less packaging when you shop, and find creative solutions to reuse household items that would otherwise be destined for the trash.